Applicable for locking and sealing of larger bolts and studs (M10 and larger). - Sealing of cylindrical parts. Low Strength Screw Locker: As per Nos. of Qty. The Industrial Adhesives we offer is known for its excellent printing properties and strong bonding quality. Fulfilling the needs of various industries, the Industrial Adhesives has earned huge appreciation from the clients. Industrial Adhesives are obtainable at market leading prices in tamper proof packing. 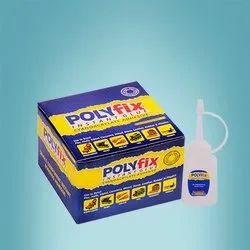 We are considered as a leading Industrial Adhesives Supplier in the national market. Shree Gajanan Enterprises is engaged in offering a high quality range of industrial adhesive that is widely appreciated for high shear strength and excellent solvent & chemical resistance. These are highly demanded in various industries for their strong bond qualities and available in quality material packaging like tins and drums.